Mark Glazier, CEO of NutraBio and Marc Lobliner, CEO of MTS Nutrition discuss the state of the supplement industry, what they would like to see changed, what inspired them to get into the industry, SARMs, CBD and more! Marc has been featured in Muscle & Strength, MuscleMag International (Italy), and Ironman (Australia) magazines, and has appeared in Men’s Fitness as a physique model. Marc has authored several print articles and has also co-authored 10 books on the subject of physique transformation. Mark is the CEO and founder of NutraBio Labs. NutraBio was created in 1996 on the premise of “Never Compromising” meaning providing quality and transparency to the consumer. Mark has been in the sports supplement industry as a brand owner, formulator and manufacturer for over 22 years. He travels the country as an advocate for improving dietary supplement industry standards, exposing scams and educating the sports nutrition industry on proper supplementation and manufacturing techniques. Mark serves on the Natural Products Association committee for Sports Nutrition.  Ryan Bucki is the president of FitnessInformant.com. Ryan started Fitness Informant in 2016 as a platform to help educate others on all topics health, wellness, fitness and supplements. Ryan worked for an online supplement company to learn the inside aspect of the supplement industry. Ryan is also a certified fitness trainer through the International Sports Sciences Association. He is also a former professional wrestler (WWE style). Ryan wrestled professionally for 10 years, cultivating with a WWE tryout in 2003. A combination of being overweight and involved in professional wrestling got Ryan into health, fitness and supplements.